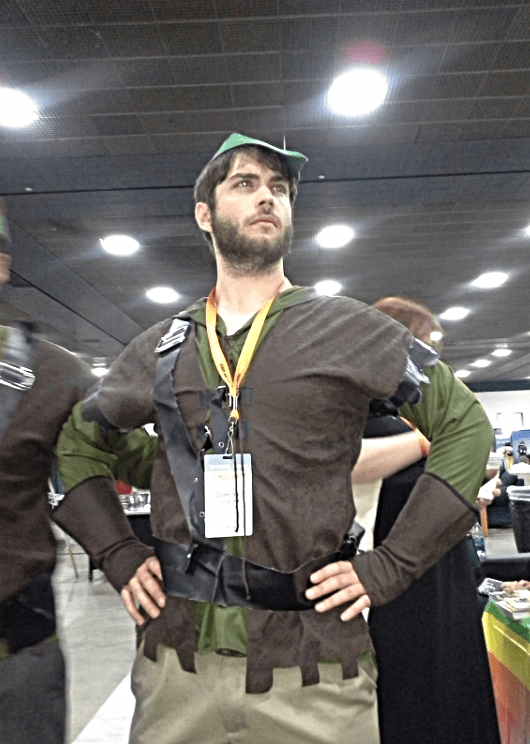 Who ever knew we’d run into Robin Hunks at Netroots Nation Detroit. 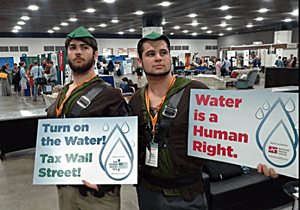 Both Dominic (left) and Adam (right) were dashingly passing out literature and explaining about The Robin Hood Tax. Simply put, the big idea behind the Robin Hood Tax is to generate hundreds of billions of dollars. That money could provide funding for jobs to kickstart the economy and get America back on its feet. It could help save the social safety net here and around the world. And it will come from fairer taxation of the financial sector with banks, hedge funds and the rest of the financial sector should paying their fair share to clear up the mess they helped create. This small tax of less than ½ of 1% on Wall Street transactions can generate hundreds of billions of dollars each year in the US alone. Enough to protect American schools, housing, local governments and hospitals. Enough to pay for lifesaving AIDS medicines. Enough to support people and communities around the world – and deal with the climate challenges we’re facing. And now let is wish a fond and heartfelt hi -dee-ho to Hunky Dominic and Adam of Locksley for a job well done squires. Nice. Don’t forget the Koch Brothers connection. They shut off Detroit’s water – at least that’s what’s being said out there on The Tweeter.